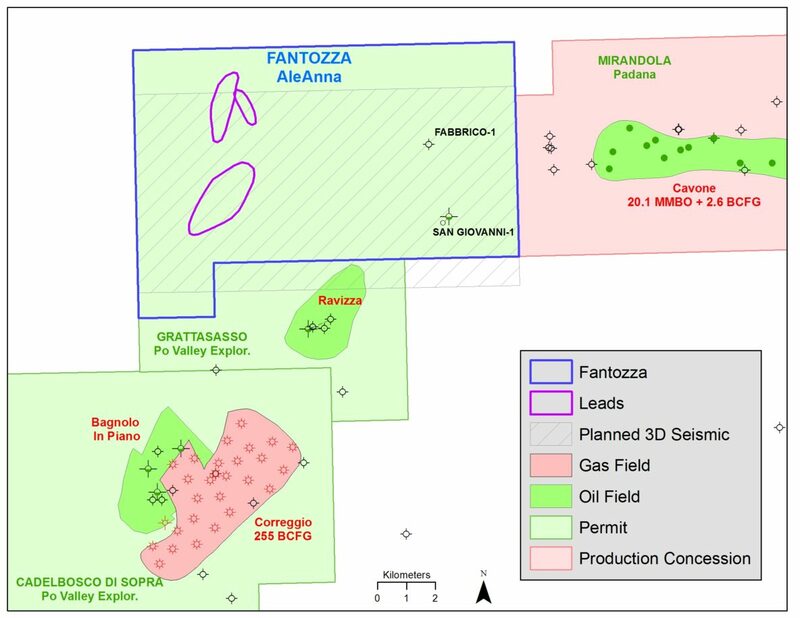 Fantozza is along trend with Cavone oil field and undeveloped oil discoveries, Ravizza and Bagnolo in Piano. These are in Eocene to Cretaceous age carbonate reservoirs and trapped in a pronounced anticlinal ridge. AleAnna is targeting numerous Pliocene amplitude anomalies seen on 2D seismic on the NW side of the anticline, onlapping onto the structure. A 3D seismic survey to delineate that potential is planned for fall 2017.